Despite much attention to U.S. government policies since the early 1930s, key questions remain unresolved. In Depression, War, and Cold War, the scholarly sequel to his acclaimed classic Crisis and Leviathan, Robert Higgs sheds pioneering light on some of the most important of these questions: What accounts for the extraordinary duration of the Great Depression? What about wartime prosperity and whether World War II got the economy out of the depression? How did the war alter relations between the government and the leaders of big business? How did the postwar military economy alter the business cycle? What is Congresss role in the military-industrial-congressional complex? This seminal book answers these and other crucial questions by presenting new insights, evidence, and statistical analyses. President Franklin D. Roosevelts New Deal did not end the Great Depressionit prolonged it. By shaking investors confidence in the security of their private property rights, the presidents laws and regulations discouraged the long-term private investment needed to revive the economy. Private investment remained low during World War II and only began to risefor the first time since the 1920safter the transition to a new administration in 1945. In the rush to build a credible military force in 1940, the Roosevelt administration turned toward a big business model of national defense. Facing diminished defense capabilities and contractors reluctant to bear the risks of converting from civilian to military production, the new policies offered loan guarantees, tax deferrals, contractual adjustments, and government-provided capital. The majority of defense contracting became concentrated among a small number of giant corporations, where it remains today. The belief that World War II created prosperity is a historical myth that stems from the misinterpretation that war or large defense spending benefits the civilian economy. The draft might have reduced official unemployment numbers, but military service yielded little pay under harsh conditions and cannot be reasonably equated with jobs in the civilian sector. Moreover, few durable and non-defense capital goods were produced by the new labor force, and real personal consumption, adjusted for population growth, changed very little between 1941 and 1944. In the four decades that the U.S. government spent waging the Cold War, massive changes were made in the allocation of resources. Whereas typically no more than 1 percent of GNP was allocated for peacetime military purposes prior to World War II, defense spending during the period 194889 averaged about $168 billion annually, or about 7.5 percent of GNP. Though spending dropped from 196876 due to opposition to the Vietnam War, the perceived crisis of the Cold War and the publics accompanying insecurity drove supportand spendingback up. The U.S. national defense budget is routinely used by Congress to serve and strengthen its members special interests and measures. Members employ vote-trading strategies to hide costs from their constituents and give the appearance of everyone receiving their fair share. When measures are viewed individually, the amount of defense waste may seem relatively small, but combined they accounted for at least $10 billion a year of unnecessary spending in the 1980s. From 1949 to 1989, the top defense firms outperformed the stock market by a huge margin. An investor who held a portfolio of top defense firms during those four decades would have earned about 2.4 times more than one who invested an equal initial amount in a diversified portfolio. Meanwhile, only weak evidence has been found that investment in defense companies was riskier than investing in the overall market. Public opinion from a given year is the single best predictor of military spending in the following year. The information that shapes the publics opinion, however, is controlled by members of the national security elite, who may seek to use their positions of authority to change its meaning. For policymakers, attempting to manipulate public opinion in their own favor is a ceaseless contest. American history is a subject filled with urban legends and propaganda promulgated by partisan interest groups. In his classic work Crisis and Leviathan: Critical Episodes in the Growth of American Government (Oxford University Press, 1987), economist and historian Robert Higgs (Senior Fellow, The Independent Institute) addressed dozens of misconceptions about the growth of the U.S. government during the twentieth century and offered a bold new theory in their place: The largest military and economic crisis of that century, he showed, eroded traditional constraints on the growth of American government. After the crises had passed, Americans were left with a government larger in size, scope, and power and more institutionally entrenched than before. 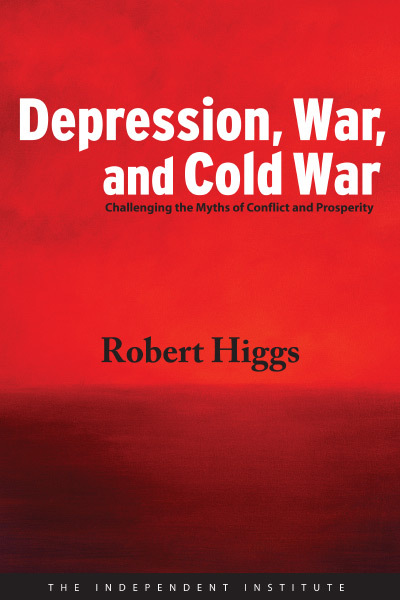 In Depression, War, and Cold War: Challenging the Myths of Conflict and Prosperity, Higgs shows how the Great Depression, World War II, and the Cold War transformed the American political economy. Collecting ten of his most important scholarly papers written since the publication of his earlier book, Depression, War, and Cold War demonstrates Higgss masterful grasp of the relevant scholarly literature and his keen analytical ability to discern the larger meaning of statistical minutiae overlooked by many economic historians. The result is a work that sheds light not only on three of the most monumental events in recent U.S. history, but also on the economic and insti­tutional context in which the policymakers of today operate. For decades, mainstream historians and members of the public largely believed that President Franklin D. Roosevelt rescued America from the depths of the Great Depression through his administrations New Deal programs and court decisions. In recent years this view has met serious challenges from such noteworthy works as Gary Dean Bests Pride, Prejudice, and Politics: Roosevelt versus Recovery, 19331938, and Gene Smileys Rethinking the Great Depression. Higgs adds to this reassessment of Roosevelts legacy by arguing that FDRs policies and appointees inadvertently prolonged the Depression by fostering regime uncertaintyi.e., doubts about the security of property rights and the rule of lawwhich discouraged investors from investing in the long-term projects necessary to return the economy to health. Another misunderstood issue surrounding twentieth century America is the origin of the U.S. militarys growing size during peacetime. It is often assumed that this trend began during the Cold War or was carried over from World War IIperhaps because President Dwight Eisenhower, in his 1961 farewell speech, warned against the unwarranted influence of the military industrial complex. Higgs traces one key aspect of this relationship to changes in weapons procurement policies adopted in 194041. These policy changes shifted a large portion of risk from private suppliers to the taxpayers at large. Many historians and economists believe that standard measures of macroeconomic performance show evidence of wartime prosperity. But, as Higgs explains, because the United States had a command economy during World War II, many of these mea­sures are highly misleading, while others are conceptually inappropriate. Meaningful national product accounting requires market prices, but the command economy of the war years rendered all prices, especially those paid by the government for goods and services, completely arbitrary. Furthermore, the U.S. governments socialization of investment during the war distorted the allocation of capital goods and labor. Most of the capital formation alleged to have occurred during World War II consisted not of increases of real capital goods but of durable munitions such as weapons platforms, guns, ammuni­tion, and related supplieswhich did noth­ing to increase production for the civilian economy. As Higgs explains, the postwar transition to a peacetime market economy was one of the most remarkable events in U.S. economic history. By 1947, real military spending had hit its postwar low of 4.3 percent of GNP, millions of workers had left government service and returned to the private sector, and the country had returned to an economic normality not seen since before the Great Depression. But despite the size, speed, and uniqueness of the postwar reconversion of the U.S. economy, economists and economic historians have devoted minimal attention to it. The little they have written about it often falsely assumes that the wartime command economy is directly comparable to the prewar and the postwar economy. The Cold War significantly affected the economic performance of the United States, although economic historians have neglected this subject as well, continues Higgs. From 1948 through the 1960s the dominant Cold War ideology and a bipartisan consensus on defense and foreign policy centered on global containment of Communism and deterrence of a Soviet attack on Western Europe or the United States. These conditions supported the unprecedented allocation of resources to the peacetime military establishment. This ideological climate was essential in maintaining high levels of resource allocation to defense but not sufficient to prevent citizens skepticism. From 1968 to 1976, for example, military spending fell sharply due to a decline of public support. Periodic crises, however, helped revive an atmosphere of tension, distrust, and insecurity, which in turn fostered the continuation of the U.S. Soviet arms race. Yet not all of these crises were genuine. A U.S.-Soviet bomber gap in the mid-1950s, a missile gap between 1958 and 1961, and a subsequent antimissile gap and first-strike missile gap are among the crises later revealed to have been false alarms. One reason for the error was that the National Security Act of 1947 greatly expanded the kinds of government documents that could be clas­sified as official secrets, thereby preventing citizens (and even most of their political rep­resentatives) from holding informed opinions on military spending. This asymmetry made the public highly susceptible to information distortion by the Department of Defense, the National Security Council, the intelligence community, and other components of the national security elite. Another problem with national defense, as Higgs demonstrates, is that members of Congress have treated defense programs as a means to serve their own selfish, parochial, and wasteful ends. Consider two of the most successful members of Congress. Rep. Dan Flood (D-Penn.) served 16 terms from 1944 to 1980. Floods leadership on the Defense Appropriations Subcommittee and the Labor and Health, Education, and Welfare Appropriations Subcommittee enabled him to extract political favors from other legislators. Although Flood generously supported defense appropriations, at times his logrolling conflicted with specific proposals favored by the military, such as the transition from coal-to oil-powered furnaces on U.S. military bases in Europe. Floods obstruction of this conversion cost taxpayers hundreds millions of dollars in excessive heating costs but enabled him to win votes from the anthracite coal region of his state. Similarly, Rep. Joseph McDade (R-Penn. ), who served on the Defense Appropriations Subcommittee, represented the hard coal region of his state and blocked base furnace conversion. Congressional micromanagement of national defense programs grew dramatically after the Vietnam War and the Watergate scandal. In 1970, Congress made 830 adds or cuts to line items in defense authorization or appropriations acts; in 1987 that number had swelled to 3,422. Too often, line-item legislating has promoted the narrower interests of members of Congress rather than national security. This outcome is most evident where Congress has continued to fund projects the Pentagon had recommended scrapping in favor of projects it has deemed more deserving. In 197881, this pork hawk waste included Congresss unnecessary purchase of 56 A-7 subsonic attack planes (at a cost of $575 million), mostly due to lobbying by the congressional delegation from the state in which the A-7s were manufactured. 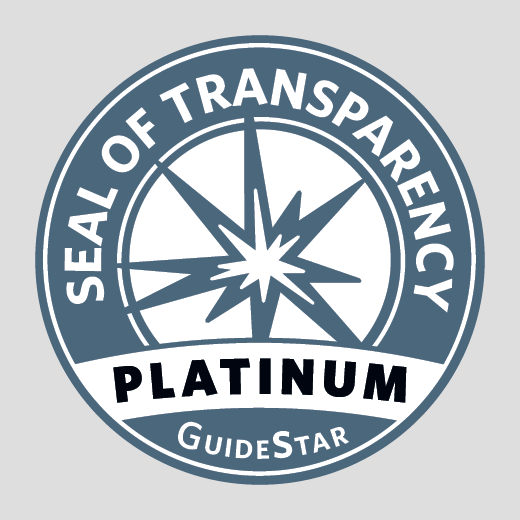 What do U.S. defense contractors get for their efforts? Do they tend to earn average rates of profit for the amount of risk they faceor something more? In a co-authored paper, Higgs and Ruben Trevino compute three measures of profitability for the top 100 companies receiving the largest volume of prime contract awards. In the 1970s, the top defense contractors significantly outper­formed the market in terms of stock market returns (i.e., dividends plus appreciation), whereas in the 1980s they significantly out­performed the market in terms of accounting rates of profit (return on investment and return on assets). From 1970 to 1989, an investor who held a portfolio of the top defense firms would have increased the value of his holdings by a multiple of 14.78, compared to a market multiple of 8.19 for the Standard & Poors 500. The military-industrial-congressional complex, Higgs shows, is not monolithic; each component competes against the others for resources and influence. Public opinion also plays a significant role in defense spending, as Higgs and Anthony Kilduff explain. Drawing on the results of 181 national surveys taken from 1965 to 1989, they find that changes in military spending lag (and closely track) changes in public opinion on military spend­ing. Employing a variety of statistical tests, they also find that changes in public opinion in a given year account for 65 percent of the variance of defense spending in the following yeara remarkably high explanatory power for just one variableand that number reaches 89 percent when a model with four lags is employed. Thus, at first blush it seems that the public gets the amount of military spending it wants. But Higgs and Kilduff hasten to add that although public opinions seems to influence both the executive branchs and Congresss budget decisions, one cannot assume that public opinion is autonomous or spontaneous. The competition among rival interests, within as well as outside the government, acts to move public opinion in a desired direction, while the public is largely dependent on the national security elite for its knowledge of military capabilities, the intentions of poten­tial adversaries, and other facts that should inform public opinion. "Outstanding Academic Book for 2007." "Social Science Book of the Month." By bringing together ten previously published essays in his latest book, Depression, War, and Cold War: Studies in Political Economy, eminent economist Robert Higgs expresses his hope that these trees do add up to a forest, that the individual studies, laid back to back, do tell a coherent overarching tale. Higgs, a Senior Fellow in Political Economy at the Independent Institute, need not worry about coherence here because his thesis is clear. It is a convincing testament to the observation made nearly two hundred years ago by German philosopher Friedrich Von Schlegel, Where there is politics or economics, there is no morality. Higgs either wrote or cowrote the ten essays that compose Depression in the time since his previous book, Crisis and Leviathan. By revising and collecting them in one place, Higgs intends to expand and refine the ideas that his landmark study originally proposed. . . . Higgs demonstrates the excessive nature of U.S. spending on military facilities had 'little, if any, value for peacetime uses. Moreover, he raises a serious challenge to the idea that the American economy peaked between 1943 and 1945. Higgs discerns the psychological ramifications of the command-and-control wartime economy by showing that the frenetic activity of war production drastically altered the expectations of consumers and producers by reminding them of the nation's vast potential." "Depression, War, and Cold War is challenging but essential reading for any who want to truly understand 20th-century economic history, the real causes of the Great Depression, and the relationship between militarism, inflation, taxes, and the expansion of state power." "Depression, War and Cold War . . . is one of those rare offerings that explicates the truth of things related to the inimical conflation of government, the military, and our congressional banditti these past seventy years or so. . . . It is a book that reveals a singular and important element of the derailment of our culture: where human nature has triumphed in an egophanic revolt against the old order." Robert Higgs is Senior Fellow at The Independent Institute, Editor of The Independent Review and author of the path-breaking books, Crisis and Leviathan and Against Leviathan.